We all need the knowledge. Thanks for the post Aegishot! Just a click away, learn more through the articles below. Be empowered through Knowledge, SP made this simple for you, it is just a click away and you will be stop being a running fool. I have an app on my phone that was free called ease into 5k. I like it. I f first you don"t succeed brush your self off and try again. A 5k is 3.1miles. I hope that helps? 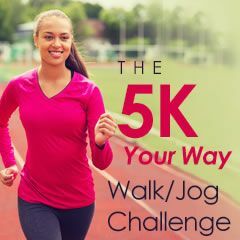 I am new to this so could you tell me how far is a 5k walk? I have decided to collate some running articles to help to run better, run more and burn more. I am also doing this for the sake of those who are done with this 5K Walk/Jog program and wish to do more without having to leave this forum. It is most definitely a good way to be accountable and receive cheers from other team's members. 9. So you want to be a runner? I hope this helps. I will try to update this topic as the need arise. What have you learned?